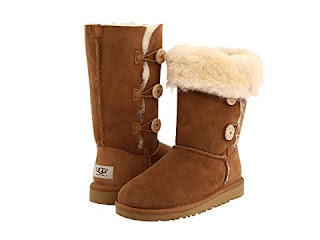 Check out these UGG Kids Bailey Button Triplet (Little Kid/Big Kid) ONLY $64.80 (Retail $144). Not your size? Head over and browse around ALL the HOT discounts on UGGS for the Whole Family. For a limited time - Free Shipping on ALL orders.